(2010-present) Facebook Game. 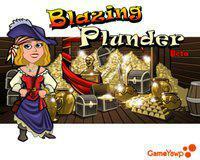 Blazing Plunder is a real-time action RPG for Facebook. Fight pirates and travel together in a vibrant and persistent world to discover new places or collect treasure in this exciting new action game for Facebook! (2010) Children's Musical Audiobook. This was an audiobook created for a wonderful Australian company named Phartoons. The purpose is to create customized audiobooks by having a child record their own voice and narrate their own story. (2010) Hail the Sun EP album. (2010) iPhone app. I did the sound design and the soundtrack for this iPhone game by Australian company, Studio Devils. It is very entertaining and is now available for download! (2010) Short Film Trailer. I did the sound design/effects and the score for this student project. (2009-2010) Adventure/Fantasy online video game. 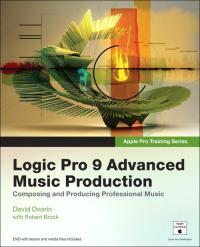 (2009) Apple certified instructional book. I engineered a session for one of the chapters of the book with David Dvorin (author) and Rocky Winslow (trumpet player). (2009) Adventure/Children's online flash video game.